Thanksgiving day is the official start of the holiday season. If you're hosting a traditional Thanksgiving dinner for family and friends, you'll need an arsenal of recipes to draw from. Turkey is the star of Thanksgiving dinner although it's unclear if it was served at the first Thanksgiving to Plymouth pilgrims. According to CNN, turkey likely became the go-to Thanksgiving meat due to the journal of colonist Edward Winslow. In his journal, Winslow mentions hunting and gathering "wild fowl" for the feast. Although this may have referred to duck or geese, turkey was the more practical choice and soon was the Thanksgiving favorite. Get at least one pound per person. Get a larger turkey if you plan on having leftovers. Consider getting a hen because they have more breast meat than toms. Since most people prefer white meat that extra breast meat will come in handy. Toms are larger but, because they have a larger bone structure, any tom weighing less than 21 pounds is a bit on the bony side. That means you are paying for more bone than meat. Whenever possible, get a fresh bird rather than frozen. Follow all food safety guidelines whenever handling poultry. That includes making sure the turkey and stuffing (if you are stuffing the bird) are cooked to at least 165 degrees. A little extra preparation before cooking will take a traditional turkey from good to great. For a delicious, perfectly glazed turkey, try a cranberry glazed turkey recipe which features a sweet cranberry-orange glaze. Brining your turkey results in a moist, tender bird. Pack some flavor into your favorite bird with one of five roast turkey recipes that feature smoked paprika, black truffle butter, a blend of spices, plum glaze, or Morton Thompson's gourmet recipe. The stuffing in this roast turkey and stuffing recipe is made with country sausage, salt pork, and savory spices. Stuffing, also called dressing in some parts of the country, is an important side dish. According to Foodsafety.gov, the turkey and everything in the turkey has to be cooked to 165 degrees. If the turkey is done, but the stuffing is not, you have to keep on cooking. This will cause your turkey to be overcooked. Since the turkey has to rest for 15 minutes before serving and the dressing usually only has to cook for 15 minutes, you can cook your dressing while the turkey rests and then serve both hot. You have to stuff the turkey loosely for the stuffing to cook properly. That means you may have less stuffing than you need. If you use a recipe for dressing that uses the giblets of the turkey, you get a great turkey flavor without cooking it in the bird. The best turkey stuffing is a matter of personal taste. Virginia stuffing, chestnut stuffing, and low-fat stuffing recipes are Thanksgiving stuffing recipe options. Try a cornbread stuffing made with cornbread, onion, celery, butter, and seasoned with sage. Make an easy baked stuffing that's made with celery, onion, butter, and seasoned stuffing mix. Even if you're gluten-free, you can still enjoy stuffing. Try a gluten-free turkey stuffing recipe that uses gluten-free croutons, or a gluten-free rice stuffing that uses wild rice instead of bread cubes. If oven space is an issue, a Crockpot stuffing recipe made from breadcrumbs, fresh mushrooms, and seasonings is a great solution. Old fashioned stuffing is a tried-and-true favorite made of traditional stuffing ingredients. 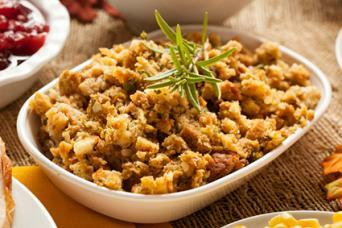 Bake an easy stuffing recipe made from day-old bread, brown gravy, and seasonings. Turkey stuffing variations, such as oyster stuffing and chestnut stuffing with mushrooms, can amp up the flavors on your table. A sausage stuffing recipe is a great alternative to basic bread stuffing. 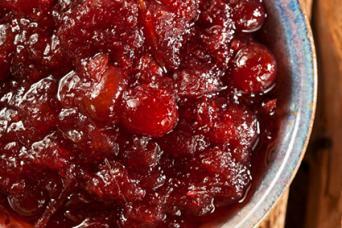 No traditional Thanksgiving dinner would be complete without cranberry sauce. It's so simple to make, you might not eat the canned stuff again. In a medium saucepan, dissolve the sugars in the orange juice. Add the cranberries and stir to mix. Simmer the cranberries until they pop open. 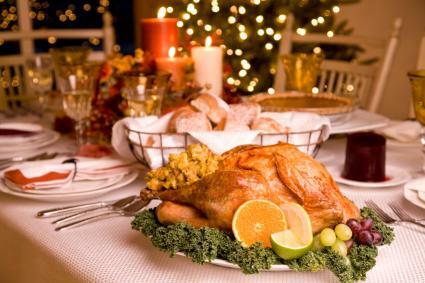 All families have their own favorite holiday sides, but besides turkey, stuffing, and cranberry sauce, a traditional Thanksgiving dinner includes a white potato dish, a sweet potato dish, other vegetables, gravy, and dessert. For many people, potatoes are the best part of Thanksgiving dinner. Take basic mashed potatoes to the next level with these ideas. Loaded mashed potatoes add flavor with add-ins such as bacon, cheese, and sour cream. If you or your guests are watching carbs, serve mashed cauliflower instead of potatoes. Scalloped potatoes made with fresh garlic, cheeses, thinly sliced potatoes, and seasonings make an impressive Thanksgiving side dish. You can also try a delicious recipe variation. Herb-seasoned roast potatoes are crispy on the outside and tender on the inside. 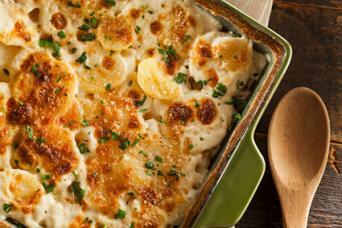 Potato casseroles combine the delicious taste of mashed potatoes with the ease of a casserole. To save time Thanksgiving day, prepare the casserole the night before and store in the refrigerator until baking time. No matter where your family falls in the marshmallow-topping debate, sweet potatoes always make an appearance at the Thanksgiving table. Make a basic sweet potato casserole recipe spiced with cinnamon, ginger, and nutmeg, and topped with pecans. Sweet potato souffle is basically mashed sweet potatoes. This version features a topping made of marshmallows, toasted cashews, and shredded coconut. Sweet potatoes au gratin is made with cheese and bread crumbs and brings out the savory side of sweet potatoes. 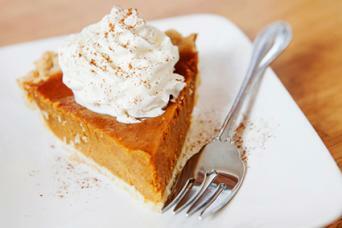 Sweet potato pie can be served as a side or dessert. Either way, be sure to serve with a dollop of whipped cream. Caramel sweet potatoes are cooked in a sweet corn syrup glaze. If you're looking for different ways to cook sweet potatoes, consider making a souffle, sweet potato soup, or Virginia sweet potatoes with rum. Add delicious taste and elegance to Thanksgiving dinner with your vegetable dish. String, or green, beans go well with most foods. The traditional green bean casserole is a Thanksgiving favorite. Or try a new string bean recipe, like one for garlic string beans, string beans with almonds, and Chinese string beans. Corn pudding made from corn, eggs, cream, and herbs is a popular Thanksgiving side dish. 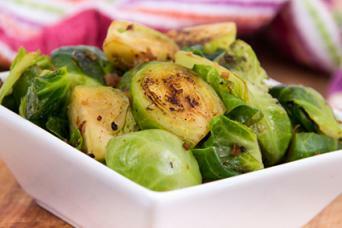 Roasting Brussels sprouts topped with olive oil, sea salt, and pepper brings out their flavor. Everyone at the table will gobble up a broccoli casserole topped with breadcrumbs and Parmesan cheese. A creamy cauliflower casserole made with cream cheese and shredded cheddar or Monterey Jack is a great lower-carb side dish. Roasted or baked butternut squash is a nice holiday side dish. No turkey dinner is ready-to-eat until it's smothered in gravy. 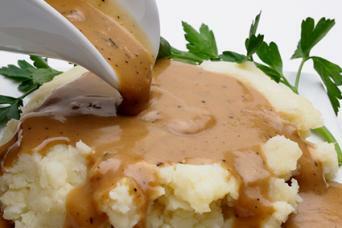 If you're crunched for time, you can serve jarred gravy, but homemade is much more flavorful. Giblet gravy is made by slow-simmering the neck, heart and gizzard of a turkey (or other fowl). Country gravy, also known as pan gravy, is made using the pan drippings of just-cooked meat. Thanksgiving desserts are indulgent and decadent. Top off Thanksgiving dinner off perfectly with a sweet dessert. No Thanksgiving gathering is complete until everyone has eaten a slice of pumpkin pie spiced with ginger, cinnamon, clove, and nutmeg, and topped with whipped cream. 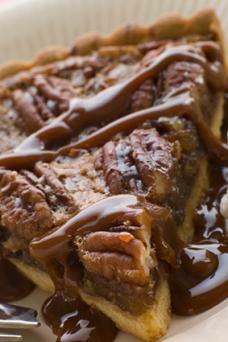 Pecan pie gets its richness from corn syrup, vanilla, butter, and fresh pecans. Few things are more American than apple pie. Try a pie recipe made with Gala apples or one made with raisins and walnuts. Apple crisp includes a scrumptious topping made from sugars, oatmeal, almonds, and butter. It's a nice alternative to apple pie. Add a starter, breads, and beverages to your table. 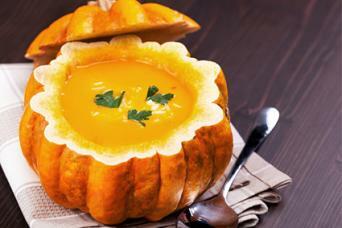 Pumpkin soup is a nice way to start your holiday meal. Serve a variety of breads and muffins in your Thanksgiving bread basket. Don't forget to put thought into the beverages you'll serve. Iced tea and coffee are standards, but you may also want to serve other Thanksgiving drinks such as spiced cider, pumpkin spice cocktail, or apple pie shooter. Thanksgiving day centers around food but more importantly, it's an opportunity to celebrate family traditions. No matter what foods your traditional dinner includes, Thanksgiving is a time for families and friends to share treasured memories around the table while creating new ones.